Working commission can be frustrating. You spend so much time working with clients only to have 50% of your earnings paid to the salon. That’s why in the last few years, so many beauty professionals have channeled their entrepreneurial side and moved into booth or studio renting. Do you want to create an intimate salon that reflects your personal style? Do you have an existing client base that would follow you if you left your current salon? Do you want to have flexibility in your working hours? Here’s the pro’s and con’s of working commission vs. booth renting. QUESTION 1: Where should I go to booth rent? Many GlossGenius professionals are owners of a salon suite. A great example is one of our partners, Sola. A salon suite company like Sola empowers you to customize your studio and create an intimate environment that reflects your personal style. You have 24/7 studio access and can set your own hours/prices. If there is a particular salon you'd like to work in, contact them directly and ask if they have any openings. How many days will you get to use the booth? Are there other charges that are not listed here? Is there a written contract of these terms? What type of clientele do their stylists typically service? Do they know what services are most requested? Will they market you on their social media? Irrespective of what they plan to do, you should be marketing your own services on social media like Instagram, Facebook, and Pinterest -- it’s the fastest way to gain a following! QUESTION 2: How much should I be willing to pay? Compare your prices: Check with other stylists at the salon and surrounding salons to see what they’re paying for rent. advertising, personal insurance and supplies. Count your clientele: If you're just starting out, you will more than likely be offered a commission based pay (usually 50/50). Most owners prefer to booth rent to those who have a solid following. So if you are just starting out from hairdressing school, it’s better to work in a salon and build your clientele and credibility. It’s not worth it to booth rent if you only have one or two clients and you’re paying $150/week on rent. 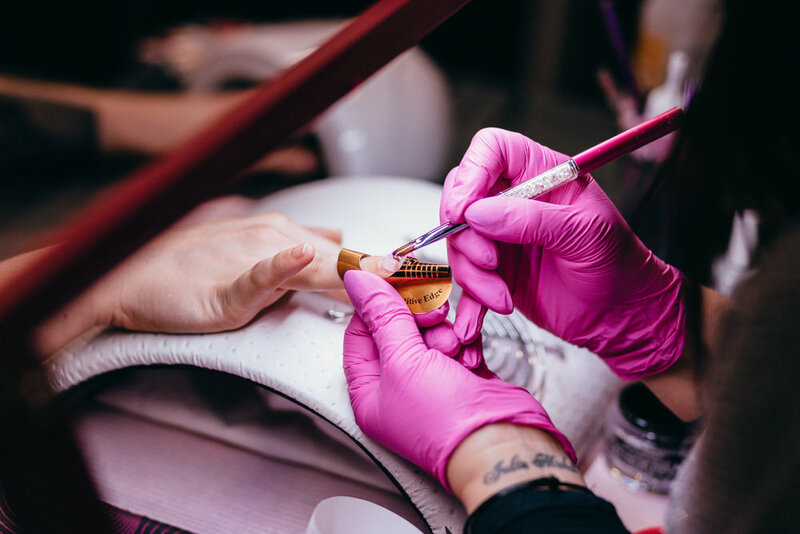 Consider how long you will be there: if you plan on renting the booth for a longer period of time (ex: a year instead of 3 months), some salon owners may be willing to give you a discounted rate. Consider payment frequency: is the booth rental weekly or monthly? It may make a difference to you if you are paying $75 a week vs. $300 a month if your earnings are unevenly spread throughout the month. QUESTION 3: What do I need to set up to start and grow my business? A beautifully designed, custom online booking site to impress clients: Clients can view what services you provide and book you immediately. You can set your availabilities on the site to easily limit the hours that clients can book you. A site that looks stunning and is easy to use will help you stand out among other stylists. Email and text message marketing messages: Clients are 20x more likely to read your text message and their 7x as likely to book you on text message. Check out how one GlossGenius stylist earned $1500+ in appointment bookings in less than an hour with our text feature. A hardware-free payments solution: Our payment processor uses a card scanner, no card swiper required. We offer the industry’s lower processing rates at 2.6%, so you can start saving immediately. Reminder Notifications: Set notifications for yourself and for your clients so you can save a ton of time and reduce no-shows and last minute cancellations. Automated client notes and thank you notes: automatically store notes on each client after an appointment and send thank you notes so that your clients know that they’re appreciated! Having this automated is powerful because it will save you so much time and ensure you’re staying on top of it! "Starve your distractions and feed your focus." GlossGenius was made for the independent beauty professional. We’re here to help you every step of the way as you manage and grow your business. Want to learn more? Sign up for your free 14-day trial of GlossGenius here.